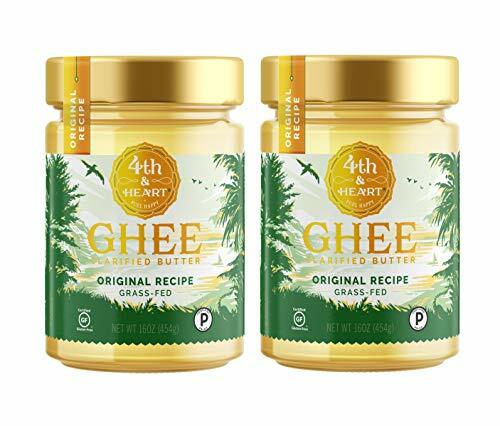 Ghee is a product which is made from butter. It is made by boiling butter to a point where the milk solids have settled to the bottom and at this point all the water has evaporated. Ghee can be made from many different kinds of milk such as, cow, buffalo and sheep’s milk. Don’t confuse ghee with clarified butter. Clarified butter is cooked just enough where the water evaporates and the milk solids separate and sink. However, ghee chokes a lot longer to remove all the moisture and the milk solids are caramelized which gives ghee that nutty flavor. Ghee also has a longer shelf life both at room temperature and in the refrigerator. Ghee is the perfect replacement for butter. You an use it to cook anything. You will notice the rich flavor in your cooking. It’s also a great spread your toast or a drizzle on your popcorn. Your baking will never be the same with ghee. Again, the rich flavor will take your cookies and cakes to the next level. Made with no dairy ingredients. Keto-friendly!